Undersea corals. Photo courtesy NOAA. Americans are proud of their land, and not just around the Fourth of July. So proud that, since 1906, they have worked with 16 presidents of both parties to designate 129 places as so important from a historical or scientific standpoint that they should be preserved for future generations. The process began in 1906 under Teddy Roosevelt to “preserve historic landmarks, historic and prehistoric structures, and other objects of historic or scientific interest” as national monuments under the Antiquities Act. The names of many of the monuments are familiar: historical places like George Washington’s birthplace in Maryland; natural wonders like the Sequoia National Forest in California and the Virgin Islands coral reef. Others are quite new, like the Northeast Canyons and Seamounts Marine National Monument. The latter is also one that is currently being targeted for delisting. In April, President Trump directed Interior Secretary Ryan Zinke to review any monument designated since 1996 for possible de-listing, meaning any or all could be open to invasive practices ranging from drilling for oil to mining to commercial fishing and dredging. Trump claimed it would “end another egregious use of government power.” The Northeast Canyons and Seamounts Marine National Monument is among 25 others potentially up for grabs by state and private entities. The public only has until July 9 to register its concern about the issue. The region is home to marine mammals, such as sperm, pilot, and beaked whales. Tuna and leatherback turtles live in and migrate through the area. Footage taken on the NOAA research vessel Okeanos showed a 20-foot Greenland shark that scientists estimate to be as much as 400 years old. That means that this animal was swimming the Atlantic when the Pilgrims landed. 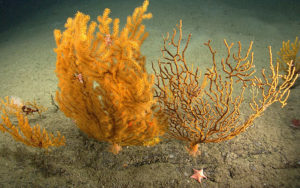 The same film showed some of the 73 deep-sea corals, some of which take hundreds of years to grow and line the canyon walls and along the seamount edges. Currently, the area is protected from what Brooks called “extractive activities”, including mining and drilling. 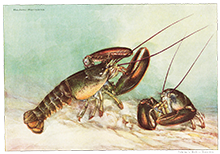 Commercial fishing is banned, and lobster and red crab fishing, which Brooks says damages or destroys life on the sea floor by use of dragging equipment, is part of a seven-year phase-out. Recreational boating and fishing are allowed under the designation. 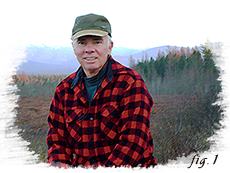 Brooks urged citizens to write to Secretary Zinke in support of preserving the monument, along with the others that are currently under review. “It is vitally important that we do this. This won’t be over when Zinke makes his recommendation. It’s vital that there is a record of public and scientific comment on this issue.